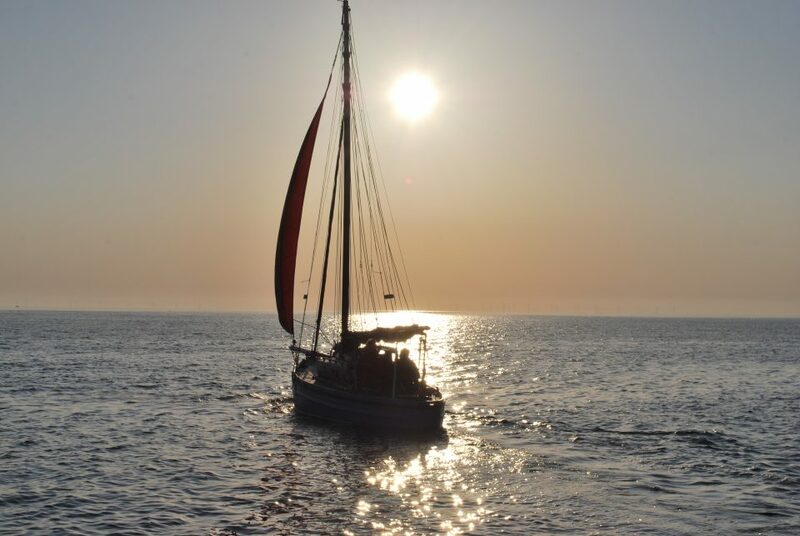 Built for the Baxter family and fished the Morecambe Bay area, she was moved to the I.O.M. in the 60’s to the Clarkson family and re named NATASNQUANT (from army day's in Africa where the father served). In the 70's she was moved to Ramsey I.O.M. where Fred Crow fished her and changed the name to ENA JANE after his daughters. In 1973 she fell over and smashed her starboard side and lay in the dock until Joe Pendleton bought and re built her. Joe then changed the name back to Comrades and used her for fishing, and sailing around the Irish Sea and up to the Hebrides. In 1982 Harry Bloomfield bought her and took her to the Mersey, at Fiddlers Ferry. Harry sailed and raced in Nobby events. She is one of the smaller Nobbies at 26ft but has won the Liverpool Nobby Race three times, under the ownership of our late, well loved and respected President Harry Bloomfield. 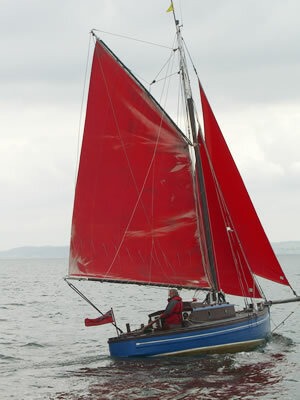 Harry was the first President of the Nobby Owners Association and sailed her until he passed away in 1994. Mike Griffiths (honorary member) bought her from the family and he sold on to Dr Peter Favershame who kept her in Collingwood Dock before moving to Liverpool Marina. I bought her in 2008 (100th year), and took her back to Fiddlers Ferry to be lifted out for the winter for some much needed repairs. She is now kept at Conwy on the river. I have also changed her name back to COMRADES as this is what every one knows her by.